Brick home with termite mudtrack. “My home is safe from Termites, it’s all brick”… That’s what we hear all too often. The truth is that most brick homes are at much higher risk of being attacked by termites than homes that are built up off the ground on piers. Take a look at any of the estates being built in Victoria Point or the Redlands and you’ll see they are actually Timber homes encased in brick. And it’s the Timber frame that supports the roof and walls. 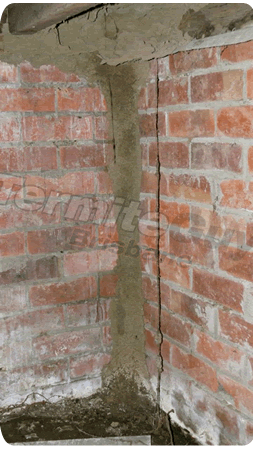 Termites need only a small gap in the mortar and they are in. Newer homes should be built with Termite Protection but it’s important that you know what termite protection system you have in Place and how long it should last. 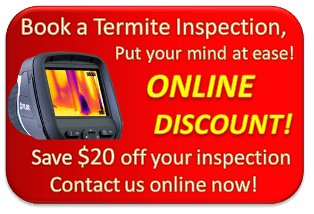 We can provide you with a Free assessment of your termite protection in brisbane today. Ask a technician!